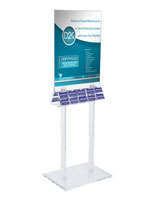 This acrylic brochure & poster stand has ten slots for literature, five on each side so customers can see advertising coming and going! 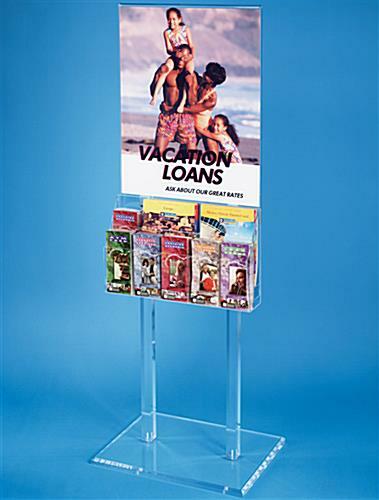 Floor mounted literature holders such as these also have a 22"w x 28"h slot for a large image on two sides, for double the impact! 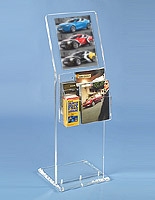 This acrylic brochure & poster stand that is a magazine rack stores trifolds or letter-sized pamphlets via adjustable pockets. 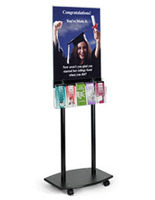 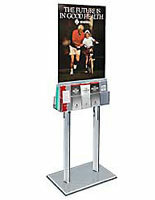 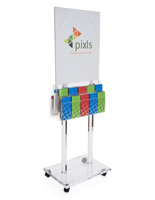 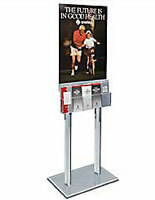 This display station, lobby kiosk, is 67"h, making promotions easy for prospective customers to see! 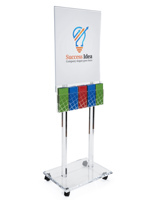 18.0" x 68.0" x 17.5"